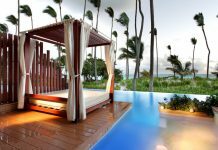 The all-inclusive Grand Bahia Principe El Portillo is one of four Bahia Principe resorts in Samana, although they are all completely separate properties. At El Portillo, you’ll find lots of activities for adults and children, including a water park, a spa, and lively nightlife. 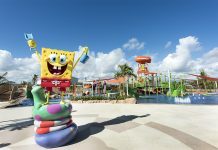 El Portillo has over 600 guest rooms ranging from standard rooms to family suites, which are actually two separate but connecting rooms located near the water park. 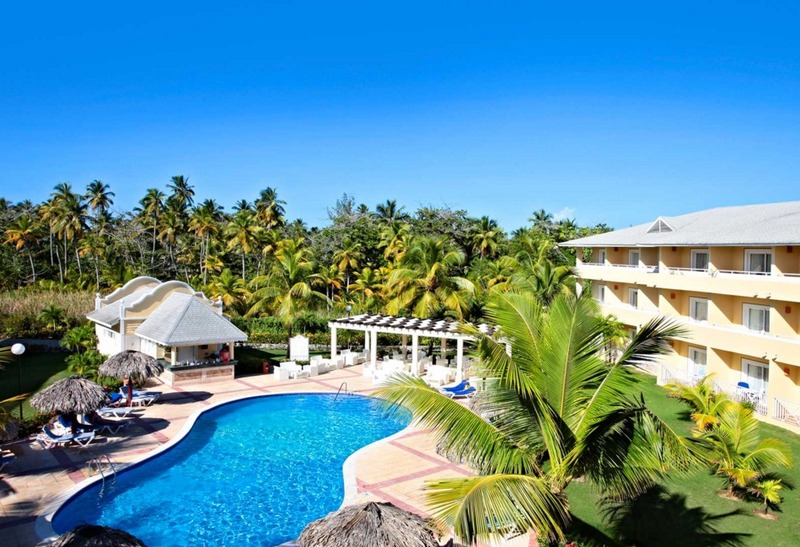 All rooms have air conditioning, mini-bars, flat-screen TVs and patios or balconies. Guests who book the resort’s Club Golden category receive extra perks like room service, bathrobes and slippers, and private club house access. Dining at the resort include the main buffet restaurant, plus four a la carte options: Portofino, serving Italian favorites like antipasti, risotto, and pizza; Orquidea, a modernist restaurant; El Pescador, a Mediterranean restaurant overlooking Samana Bay; and Rodizio, serving Brazilian grilled meat table side. There’s a large pool, spa, and water park onsite. 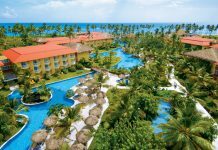 In addition, the resort offers transportation to Pueblo Principe, a plaza with shopping, restaurants, and a nightclub. Other nearby activities include El Limon waterfall, Playa Rincon, and a national park. Fly into Saman El Catey International Airport, Dominican Republic (AZS). The resort is about 40 minutes from the airport. Visit Grand Bahia Principe El Portillo’s website for more information.